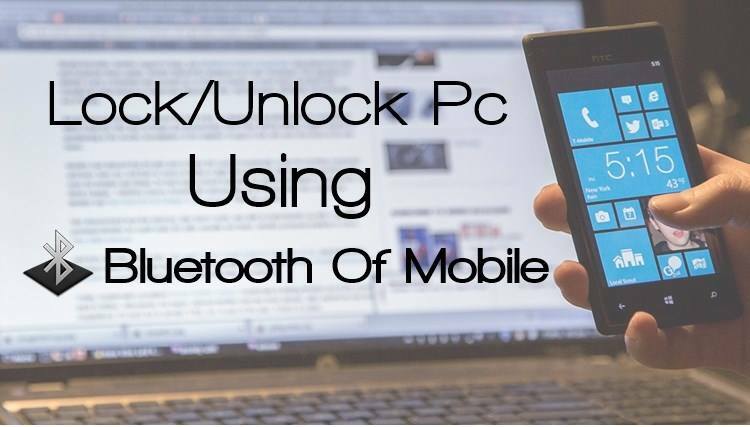 We are going to share an awesome trick on how to Lock/Unlock your PC Using bluetooth of your Smartphone. Go through the full post to know about it. 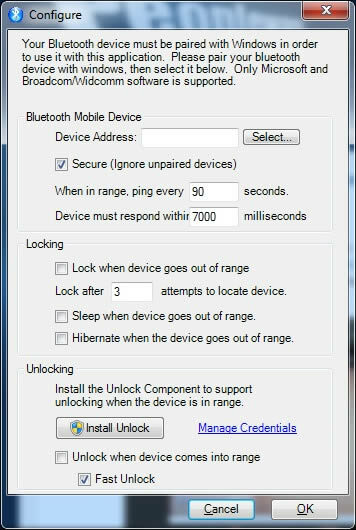 Today we are here with cool PC Security Trick that is How To Lock/Unlock PC Using Bluetooth Of Your Mobile. Generally, in our windows PC, the security is just a user login screen and once you are logged in you have no security. So for that, we have a cool idea to protect your computer being used by illegal hands. You can use any Bluetooth mobile to secure your computer. 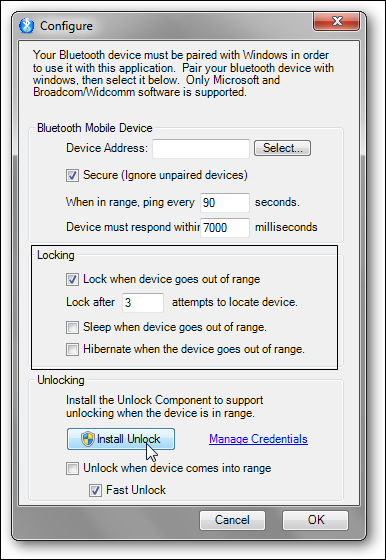 As long as the device is in the range of your mobile’s Bluetooth, your PC will be unlocked. Moreover, it will get locked automatically when the device is far away from PC . The method is very cool and depends on a third party software that will set Bluetooth security pairing with your PC and mobile and your computer will be secure. So have a look at some simple steps below to proceed. Step 1. 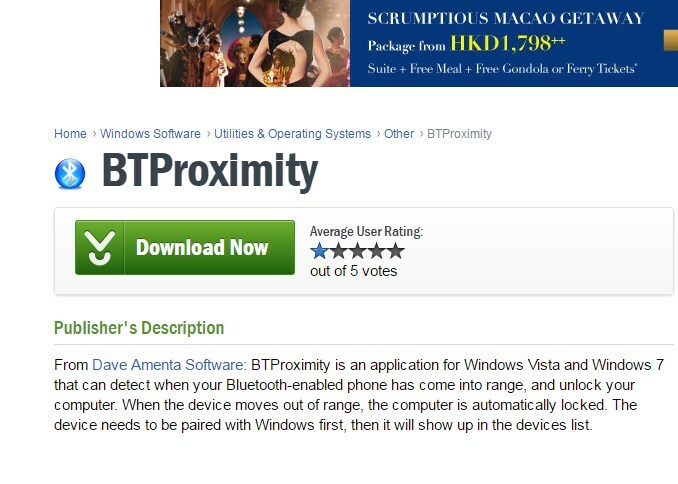 First of all Download and Install BtProximity program on your windows PC. Step 2. Now install the app and you will see an icon will get created on the system tray. Now right click on the BtProximity icon on system tray and select Configure. Step 3. Now a configure screen will get displayed like shown below. Step 4. 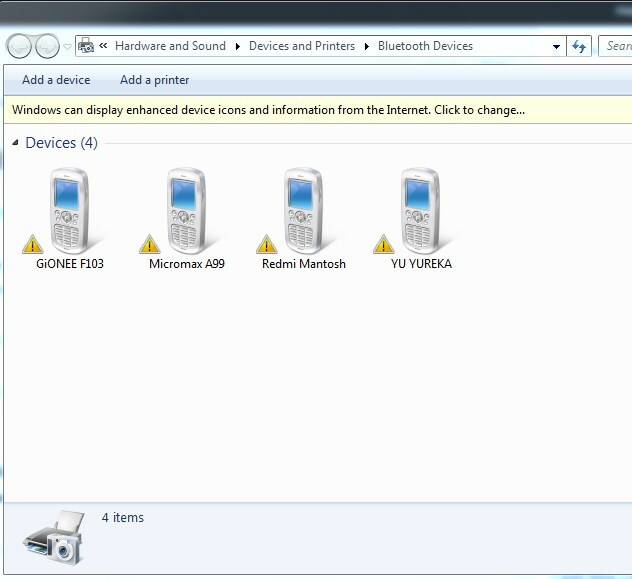 Now pair your device with your computer by right clicking on Bluetooth icon tray and then selecting Add a Bluetooth device. Step 5. Now in the Configure dialog box click on Install button after setting all the fields according to your wish, for ex. tick on Lock when a device goes out of range etc. Step 6. You need to configure the “Install Unlock” too. You can set all the settings according to your wish. But don’t forget to install the unlock procedure. That’s it! you are done now your computer is protected with your Bluetooth enabled mobile and your PC will be only accessible in the presence of you and your mobile that you paired. 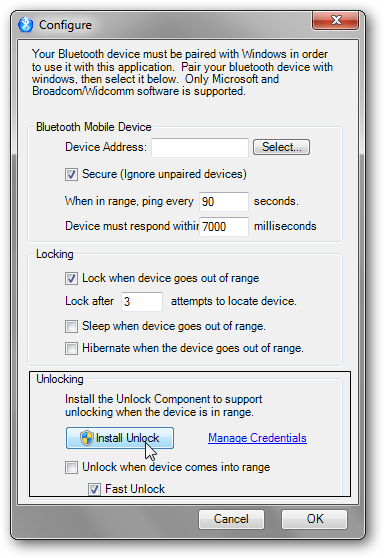 So above we have discussed How To Lock/Unlock PC Using Bluetooth Of Your Mobile. The method is really cool and effective that will protect your computer from being accessed by any unauthorized person. Also, mobile will be an extra security key for your windows PC. Hope you like this cool method, do share it with others too. Leave a comment below if you are facing any problem at any step.